In Screen ('Video: Technology and Practice,' Vol. 20, no. 1, Spring 1979) Stuart Marshall points to the lack of a 'legitimising history' for the then nascent practice of video art, while making video art himself and generously attempting to document the work of others. To write about his work is as much to write about the state of video art then. It is ultimately a caustic irony and an ironic testament to his project that his videos, like his sound, installation and live works, have nonetheless shamefully remained outside of an authoritative international canon. Marshall's article maps an evolving practice, from Nam June Paik's first use of the Sony portapak in 1965 to video's intersection with the Women's Movement (in works by Lynda Benglis, Joan Jonas and Hermin Freed on sexual difference). Just as notably, the article describes its limited British economy. In 1979 there was no commercial gallery infrastructure for video works in the UK, commercial distribution was unsustainable and broadcast was in the exclusive grip of a closed 'duopoloy' between the institutions of BBC and ITV. My proposal is that this latter - television - became Marshall's particular and specific, culturally reflective concern, one that found its apotheosis in his 1984 broadcast Bright Eyes. It was a concern to which he was theoretically and practically bound, and that accounts for his work as a special kind of intervention, distinct from artists' film in the late 1960s and 1970s and politically challenging to the visual arts in general. 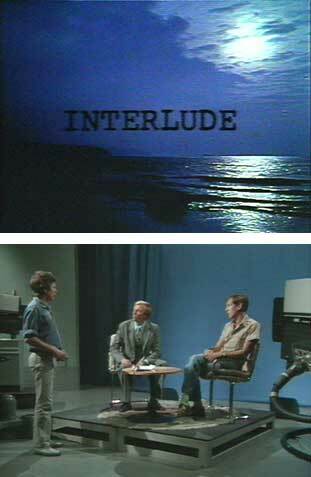 In his own words, the televisual offered "the greatest potential as a critical avant-garde."